If you take the bike trail from Piqua, to Troy (Ohio), you will cross this bridge. 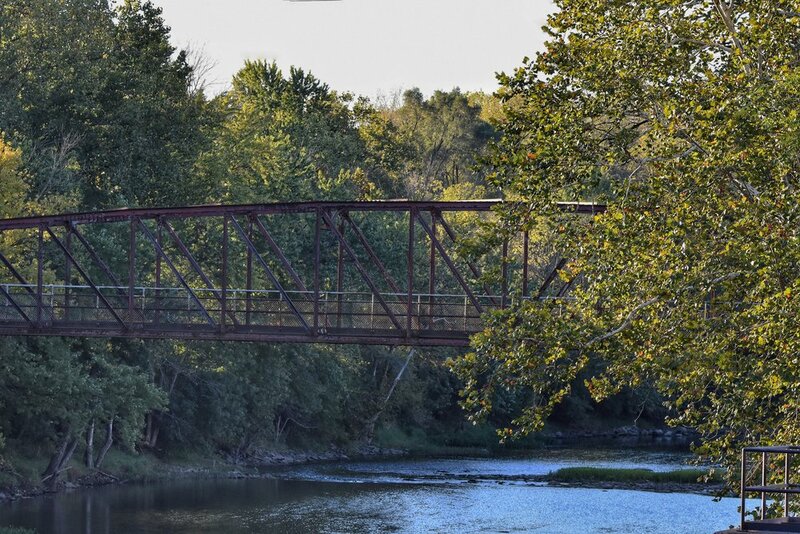 On the southern edge of PIqua, this bridge has been repurposed to be a walkway for bikers and runners .. and people like me, trying to stay close to Mother Nature. I don’t know the history of this bridge, but I believe it is special. It’s not beautiful, like the Robert J Shook Bridge that is about 4 miles to the south. It is functional, but its not unique in it’s structure .. many bridges use this design. So what is so special about this bridge? Its has stood the test of time .. it’s weathered many years of heavy loads. It has been repurposed and by doing so it has stayed relivelant. I have spent my career doing this. Going to school at nights, taking on special projects, learning on my own time by reading and tinkering. Learning is the key to adapting .. and adapting is the key to dealing with change and moving forward. What we have here is a key to a long and happily life: Learn, adapt, and and be willing change.